We’re very excited about our new relationship with local pest control leader Patrick Exterminating. 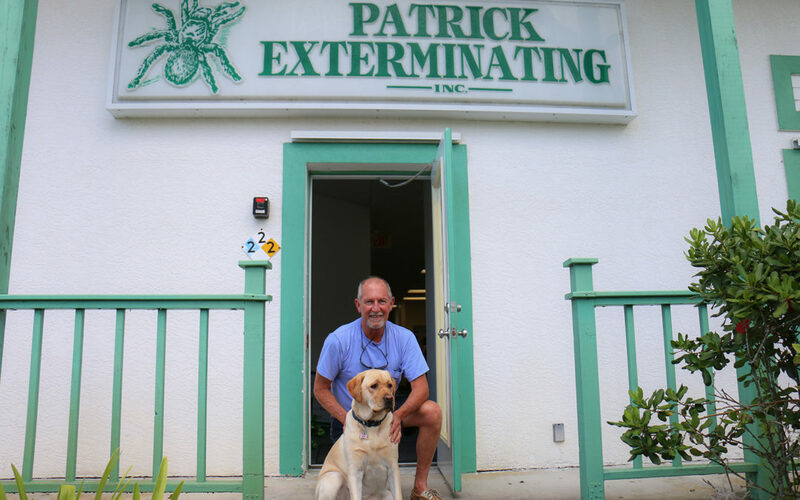 Based in Stuart, Florida, Patrick Exterminating is a family owned business founded by Rick Patrick 30 years ago with one truck and a vision to treat customers like neighbors and become the area’s most trusted pest control company. Today, Patrick Exterminating is one of the Treasure Coast’s largest independent pest control companies with 20 employees and a fleet of 18 trucks offering a complete range of pest control and fertilization services, including household pest control, termite prevention, rodent control and lawn spraying, serving customers from the northern Palm Beaches through Port St. Lucie. What impresses us most is the care and due diligence they put into every job and their conscientious approach to minimizing environmental impact. After initial pest control application, their focus is on bi-monthly treatments of the exterior of the home to create a permanent barrier to home invading pests. They take great care not to overspray, especially in areas where there is water run-off and are extremely mindful of summer fertilizing regulations, replacing nitrogen-based fertilizers with a nutrient blend designed to keep lawns healthy through the summer months without polluting our waterways. Patrick Exterminating also has a long-standing commitment to giving back to the community, supporting a number of important local organizations, including Habitat for Humanity Martin County, the Council on Aging of Martin County, Treasure Coast Foster Closet, House of Hope, Humane Society of the Treasure Coast and the Girl Scouts of Southeast Florida. We’re looking forward to many fun and exciting projects with Josie and the Patrick team. Stay tuned on Facebook, Instagram, Google and YouTube!